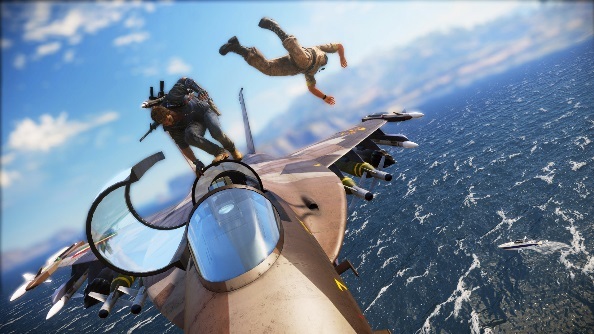 It’s widely accepted that gamers are probably never going to get bored of things going boom, and it certainly seems that Just Cause 3 is banking on that. The latest trailer for the game does feature things like wingsuits, parachutes, and planes, but there’s one thing that certainly outnumbers everything else: huge, deafening, bright fireball explosions. Looking for more open world madness? Try one of the best sandbox games on PC. With the launch date of December 1st fast approaching, we’ve probably seen most of what the marketing hype train will offer, but this new compilation of things collapsing in sheets of flame is still an entertaining four minutes of devastation. Rico seems to fling himself around the map with slick style, bringing down buildings and massive planes with little regard for any humans in the way. Not that civilians seem to be much of a concern: the whole place seems to be populated exclusively by General Di Ravello’s troops, and they all want Rico dead, so makes sense that Rico should want them dead too. What kind of destruction are you hoping to inflict during your Just Cause 3 playthrough?